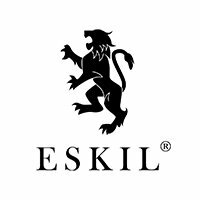 Eskil is a UK-based business services company with a global network of customers, associates and partners. We believe that corporate facilitation unlocks endless possibilities within an organization and its people. Whether confronted with issues or with opportunities, corporate facilitation transforms the way organizations, teams and people interact. Facilitation is understanding that the answer to your questions are already in the room – the art of facilitation is to ask the right, powerful question. One of the key values of Eskil is collaboration : we strive to work in genuine partnership with our clients, based on trust, ethics and accountability. We value long-term relationships and to learn together with and from our clients. Many of our team are members of the International Association of Facilitators as well as experienced psychologists, coaches, and training specialists. No two organizations are the same – starting from different points with different aspirations underpinned by a variety of cultures, strategies, and challenges. With leaders of such organizations needing to be equally multi-faceted, we have the corporate facilitation skills to build programs and interventions that suit your unique needs. Our work in this field includes executive coaching, development of management teams, and leadership development programs. Every corporate initiative calls for powerful team dynamics, collaborative intelligence, communications intelligence and positive conflict management. The modern team calls for the ability to be reflective, have good emotional intelligence, be self-determined, and willing to develop their individual leadership traits. Our work with high performing teams includes the development of management / leadership skills and various organizational skills ranging from achieving consensus; problem-solving and decision-making; idea generation; cross-organizational working; and more. Since 2001, we have designed built and delivered corporate training. All of our workshops are high-activity, outcome-focused and founded on psychology methods, tools and approaches. We advocate corporate facilitation through 100% engagement and 100% participation. Our blended learning services includes the provision of internal trainers / facilitators, retreats, elearning, serious games, and virtual classes. Trained in the disciplines of counselling, coaching & mentoring, we develop your individual and team capability. We facilitate executive coaching, individual counselling, performance coaching, mentoring and critical friendship. Our work is founded on the use of various assessment approaches (psychology, behaviour, personality). Your relationship with an Eskil facilitator, counsellor, coach and mentor creates momentum. Our tailored programs include drawing out your internal motivators to ensure a commitment to achieving your goals. Whilst we should be looking to leaders for the strategic view (and to lead us on the right path in a consistent, clear and balanced fashion), we should also be working ‘bottom up’. The condition : recondition approach is based upon tailored learning interventions. Condition : recondition is a tailored learning intervention for when key people to transition into a new space (skill, mindset, etc.). For example, you may have someone who is being promoted into the role of ‘Director’. They may have the technical skills to be a Director, but what about their psychology? Another aspect is when key individuals (for whatever reason) start to plateau or even decline. In some cases, this is due to burn-out whilst in other situations it is just a call for re-energising, re-focusing and re-motivating. By the very nature of the environment, the boardroom is of huge importance. Our corporate facilitation model ranges from business briefings to boardroom dynamics, individual excellence, and audit / review. When you are exploring your strategy, mission, vision, values, etc. you need someone who is able to handle a room of strong personalities. Eskil’s corporate facilitators support clients in the development of proactive, forward-facing organizations that extend market share, grow revenues and have a strong ethical commitment.